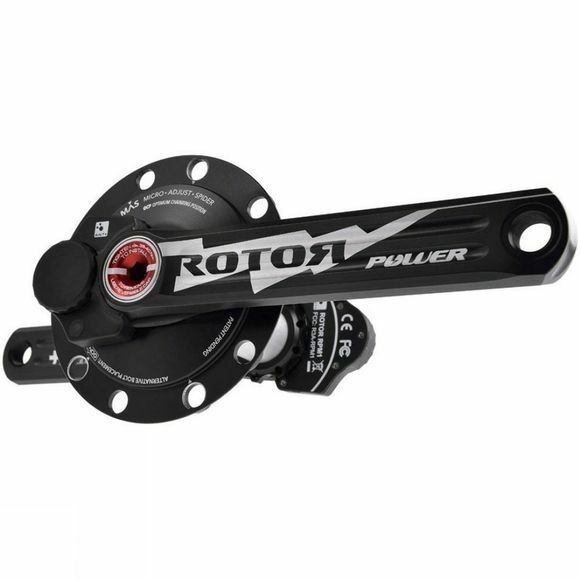 The Rotor Power Crank 110 BCD is at the leading edge of the power market, offering power intelligence as never seen before out on the roads. Delivering unsurpassed accuracy on a range of readings, the innovative cranks combine top of the range technology with cutting edge design, the cranks measure all three axes of deformation to give extremely clean and reliable data when you need it the most. With ANT+ compatibility, the cranks pair with a wide range of cycling computers to give you on the go information, pair this with a fast and easy, tool free battery replacement and you have a must have accessory for dedicated athletes who want to maximise every minute of their rides.